The YS71S mesh back side chair delivers comfort and style in an attractive, modern package. Note: Arms sold separately, unless otherwise indicated. Features: Cushion seat. Mesh back. Cantilever Sled Base. Several Optional Arms to choose from. Design matches the rest of the YES Series. Rated 250 lbs. 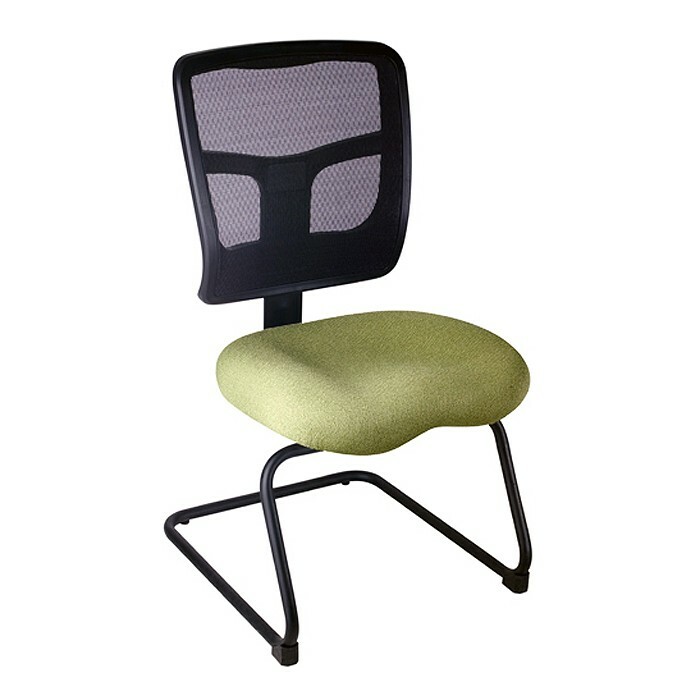 The YS71S mesh back side chair delivers comfort and style in an attractive, modern package. A perfect complement to any of the models from the rest of the YES series, it's easy to see why customers everywhere have been having a hard time saying anything but "YES" to Office Master's YES Series!